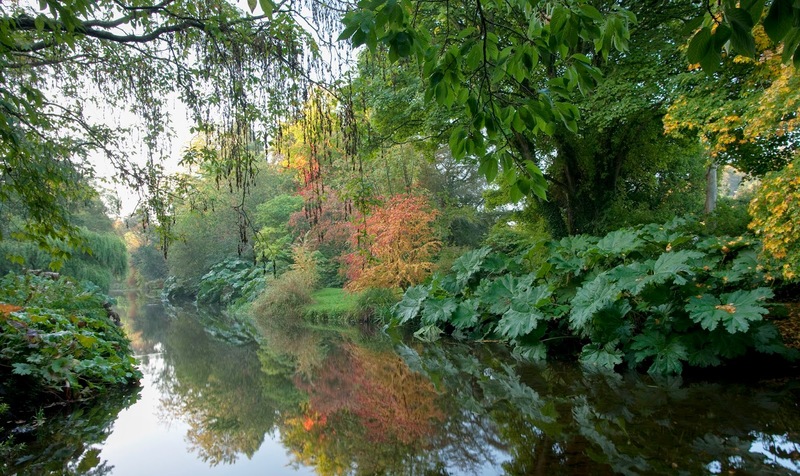 If Trees Could Talk – Wicklow trees and woodlands over four centuries. by Michael Carey. Coford, 2009. pp 295. Illustrated. This book was presented to me by the Irish Tree Society on the occasion of my 90th Birthday. It is a hardback, beautifully illustrated with photos, maps and designs, and it provides a valuable account over the last four centuries of the silvicultural history of Wicklow, our must heavily wooded county in Ireland. Surely no city in these islands has such a close neighbour so rich in mountain, forest, lake, sea and sky, and with so many historical associations and so accessible to its citizens. And yet despite its closeness to Dublin with its population of more than one and a half million, it remains largely unspoilt. The eastern part of the county along the seacoast is flat, the centre is mountainous along its entire length and the western side drifts slowly down from the uplands to the central plain of Ireland in Kildare and Carlow. There are only two crossings east/west suitable for motor traffic in the entire county because of its mountainous spine; and these are hardly motorways. Heavy traffic north/south is confined to the motorway on the eastern side and the main road to Carlow and Wexford on the western side. Do these physical and georaphical features partly account for the relative remoteness of much of the county? The central mountainous part is heavily treed as is evident if one travels by train from Arklow in the south to Wicklow town further north. The train follows the Avonmore River along its course into the hills at Rathdrum and for a distance of about three miles is enveloped in forest. Later, as the train leaves Wicklow town it travels north to Greystones and Dublin along the shoreline of the Irish Sea for a distance of five miles or more. I recently took the train to Arklow for the first time in some years and as I travelled, first along the seashore and then through dense forest, I was reminded of the excitement which was part of train travel during my boyhood. The silvicultural history of the county is reflected in the changing political and social history of its citizens over the centuries. Many of our great estates were established there during the various turbulent land changes and plantations over the centuries and perhaps the greatest changes in land ownership has occurred during the last century or so as the great estates have slowly but inexorably given away to the decline of the numbers and influence of the landed gentry, a decline which was inevitable after the many land acts of the late nineteenth and early twentieth centuries. The book is divided into three main sections. The first section is headed The Woodland Resource. The history of the resource in terms of trees and the extent of woodlands is based on aspects of archaeology, pollen analysis, documentary records, ecological surveys, place names and iconography. It is based on various surveys conducted over the centuries, including the Ordnance Survey of 1835-40 and the first census in Ireland in 1841.
centuries. We learn of the great estates which evolved during the plantations which were a feature of our turbulent history during previous centuries. 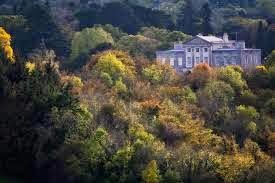 These included the great Fitzwilliam estate, the Rosanna estate in Ashford, the Downshire estate, Charleville, Kilmacurragh, Kilruddery, Powerscourt, La Touche in Bellevue and Mount Usher. Michael Carey refers to Avondale, the home of Charles Stewart Parnell and his forbears, and of its importance as the headquarters of Irish forestry in terms of silvicultural education, research and reputation. It is here and in its connecting establishments that the professional aspects of the forestry industry in Ireland are based and it is in Avondale that the public are welcomed to enjoy its wide variety of trees and to learn of the workings of the tree industry and its importance to the welfare of our country. If for no other reason, the illustrations alone would justify having the book in one’s library. The pictures of remarkable trees are outstanding, as are the maps. 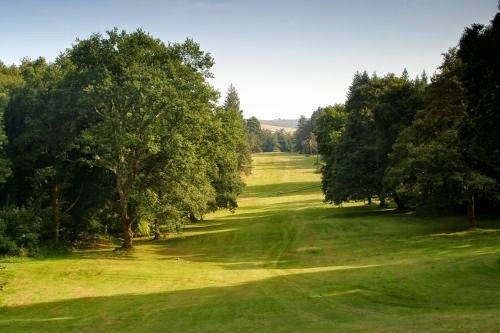 The many photos of scenery, houses and other artefacts complete a full and attractive account, historical, political, social as well as silvicultural, which justifies the sobriquet of Wicklow as the so called Garden of Ireland.